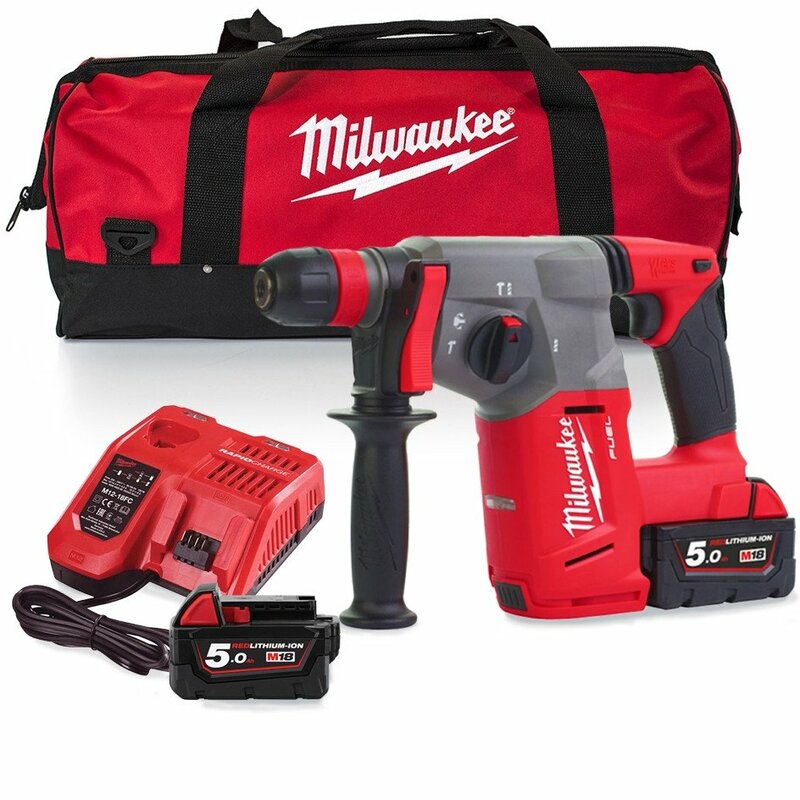 https://www.sgs-engineering.com/m18chx-502x-sds-hammer-with-batteries-and-charger?___store=sgs_en 6681 Milwaukee M18CHX-502B 18V FUEL SDS+ Hammer Bundle with Free Battery https://www.sgs-engineering.com/media/catalog/product/m/1/m18chx-502bn_1.jpg 316.99 316.9900 GBP InStock /Power Tools/Drills/SDS Drills /Power Tools/Milwaukee/SDS Drills The Milwaukee M18CHX-502B bundle comes complete with the Milwaukee Fuel SDS+ Hammer, x2 5.0Ah batteries, bag and rapid fast charger. 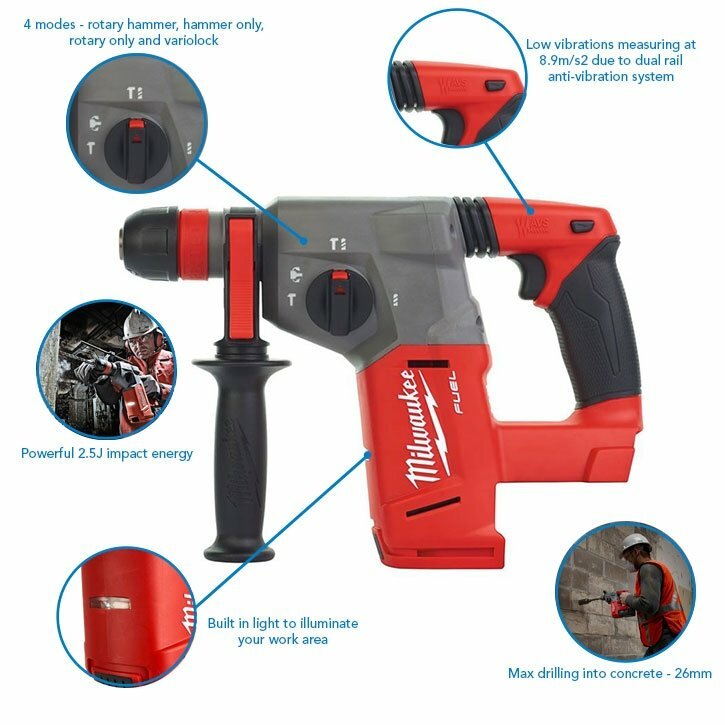 The Milwaukee M18CHX-502B bundle comes complete with the Milwaukee Fuel SDS+ Hammer which is a powerful tool delivering 2.5J of impact energy with very low vibrations measuring at 8.9m/s2 due to its dual rail anti-vibration system. The hammer uses drill bits up to 26mm into concrete and has a range of functions available that include rotary mode, hammer mode, rotary hammer and chisel lock off to help you set the optimal angle for your chisel bit. The hammer has a powerful POWERSTATE brushless motor which gives the user variable speed and increased power. The SDS+ plus hammer uses REDLINK PLUS intelligence which protects the tool from overloading and overheating to keep your tool in the best condition. The service life of the tool is enhanced with the use of the all metal gear case which enables optimum seating of the gears. Also included in the bundle is REDLITHIUM-ION™ 5.0Ah battery which deliver up to 2.5x more run time, up to 20% more power, up to 2x more battery life and operates down to -20°C than other lithium-ion technologies. The battery cells can individually be monitored with the fuel gauge which displays the remaining charge. FREE Additional Battery! Now with this bundle you will receive second battery for free! The bundle also includes the rapid fast charger which is ideal for charging your Milwaukee batteries from M12, M14 and M18 quickly. The charger can charge 2.0Ah, 4.0Ah, 5.0ah, 6.0Ah and 9.0Ah battery pack and can charge M18 and M12 at the same time. A case is also provided to protect your tool from the elements. The Milwaukee M18CHX-502B bundle comes complete with the Milwaukee Fuel SDS+ Hammer which is a powerful tool delivering 2.5J of impact energy with very low vibrations measuring at 8.9m/s2 due to its dual rail anti-vibration system. The hammer uses drill bits up to 26mm into concrete and has a range of functions available that include rotary mode, hammer mode, rotary hammer and chisel lock off to help you set the optimal angle for your chisel bit. The hammer has a powerful POWERSTATE brushless motor which gives the user variable speed and increased power. The SDS+ plus hammer uses REDLINK PLUS intelligence which protects the tool from overloading and overheating to keep your tool in the best condition. The service life of the tool is enhanced with the use of the all metal gear case which enables optimum seating of the gears. Also included in the bundle is REDLITHIUM-ION™ 5.0Ah battery which deliver up to 2.5x more run time, up to 20% more power, up to 2x more battery life and operates down to -20°C than other lithium-ion technologies. The battery cells can individually be monitored with the fuel gauge which displays the remaining charge. 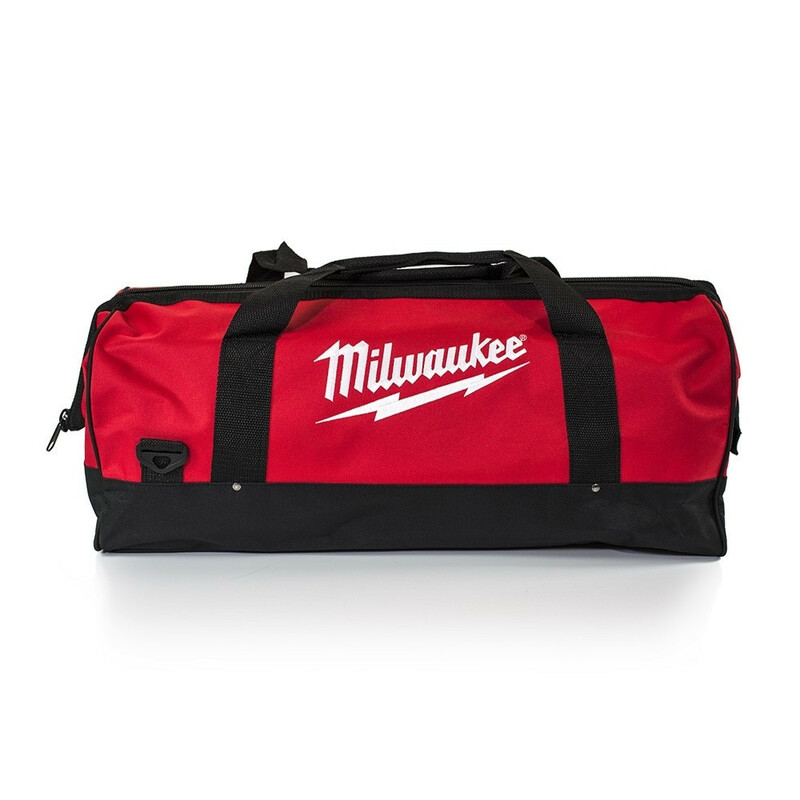 The bundle also includes the rapid fast charger which is ideal for charging your Milwaukee batteries from M12, M14 and M18 quickly. The charger can charge 2.0Ah, 4.0Ah, 5.0ah, 6.0Ah and 9.0Ah battery pack and can charge M18 and M12 at the same time. A case is also provided to protect your tool from the elements.